There is so much free money out there, Millions of dollars remain unclaimed every year because no one applies for some scholarships. Don’t give up on searching for the money. A $1,000 scholarship may not seem like a lot when you’re looking at a tuition bill of $20,000 or $30,000 but if you apply for 10 scholarships and get them, that’s $10,000! I had a friend in college who made it her part time job over her four year education to search and apply for scholarships. Every few months she had a check being sent to our school to go towards her tuition bill. She graduated with hardly ANY loans to pay off. Take the time now to fill out that application, write that essay or sit for that interview to earn some money. Regardless of where you are looking for scholarships, everyone should be looking. Scholarships.com is a free and very well laid out, user-friendly website. You have to create an account to get started, then you can save your favorite scholarships to view later. Scholarships are organized into different searchable categories such as Scholarships Trending Now, Scholarships By Grade Level, Scholarships By Major, Scholarships By State, Scholarships for Women, Sports Scholarships, Minority Scholarships, and Unusual Scholarships. The site also has scholarship applications tips and resources. 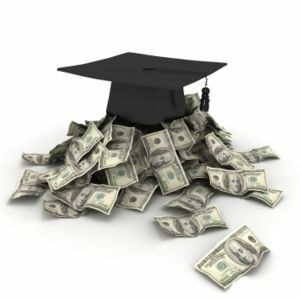 Scholarships.com boasts over 2.7 million scholarship listings totaling $19 million in winnable funds. CollegeBoard is a website that should be a familiar website to most students who took the SATs and any AP courses. It is a private, free website that is updated regularly by staff and is highly accredited. Around 2,300 scholarships are listed with a value of closing in on $3 billion. FastWeb is a private and free site. Scholarships over 11 months old are automatically deleted from the database so that it stays current. There are videos on the site to give advice to students, sweepstakes and special promotions, and a list of common scholarship deadlines. It offers around 1.5 million scholarships totaling around $3.4 billion in funds. CollegeNet is a site that lets you search for scholarships based on their content with Keyword Search or based on your personal information and what you qualify for with Profile Search. CollegeNet also offers this great feature that allows students to open discussions in the forums. The conversation topics get voted on based on how interesting they are; the student with the most interesting conversation wins money to the tune of $300-$5000. It is private and updates monthly. This entry was posted in College, College Admissions, Financial Aid and tagged financial aid, money, paying for college, Scholarhips. Bookmark the permalink.